PSIA-E/AASI has an Education Foundation that is a 501(c)(3) organization. The Foundation awards many scholarships to members wishing to further their education in alpine, adaptive, Children’s, snowboard and Nordic education. 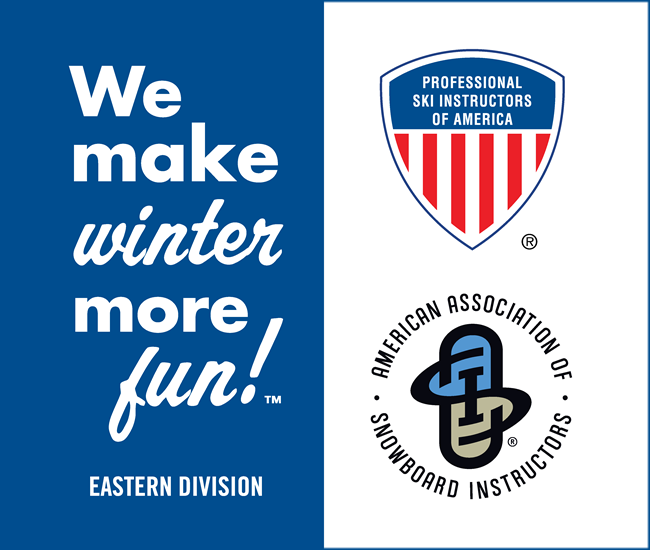 The Education Foundation makes PSIA-E/AASI more than just a group of ski or snowboard instructors. The Education Foundation allows us to fund such projects as membership scholarships designed to assist members in furthering their ski teaching careers and studying special populations such as people with disabilities, seniors, and children. The Education Foundation also is the home for association research and educational projects and outreach programs. Credit Card or eCheck – Choose to donate either by credit/debit card or withdraw from your bank account using a check. One-Time or Recurring Gifts – Make a one-time gift, or create an automatic gift to occur weekly or monthly. Option to Dedicate Your Gift – Give in memory or in honor of a loved one, as well as send a personal acknowledgement to the family. To give online, click the button below. You will be directed to a secure website (QGiv). Follow the onscreen instructions to complete your donation. Each season, the PSIA-E Education Foundation makes monetary scholarships available to members who wish to further their education or certification status within PSIA-E, PSIA and AASI. The training that members receive as a result of the scholarship program increases their productivity and value as a member and as an instructor in their particular snowsports school. Scholarships are awarded based upon financial need, personal/professional goals, snowsports school experience, and ability and means to share the benefits of the scholarship with other staff members and snowsports area guests. Click here to get more information on PSIA-EF Scholarships. Click here to GET DETAILS on the Eastern Division “Push for Public Awareness” Campaign.